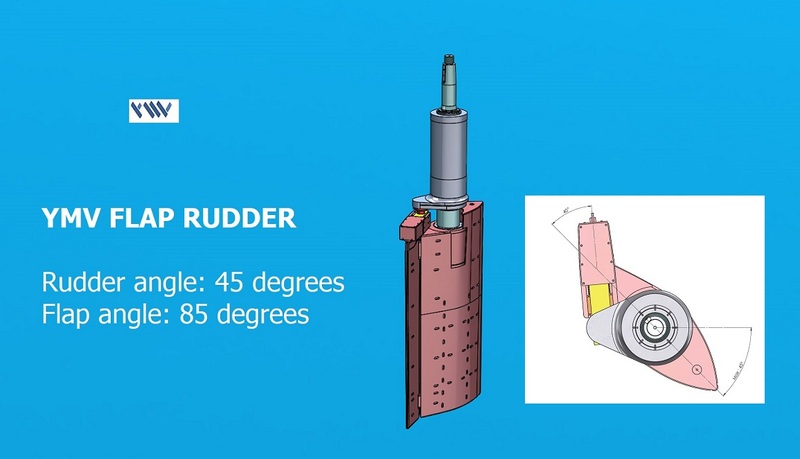 YMV Flap rudders can be used effectively for all types of ships. With the aid of the movement of flap mounted on the rudder blade, ship maneuvering capability improves. The flap and the main rudder are connected with hinge and link mechanism. Flap rudders, when compared with conventional rudders, provide higher operational efficiency with the feature of increasing maneuverability.This results in less fuel consumption. Flap helps to change the effective angle of movement during operation. Rudder angle of the main blade is 45°. Total movement of the blade is available up to 85°.